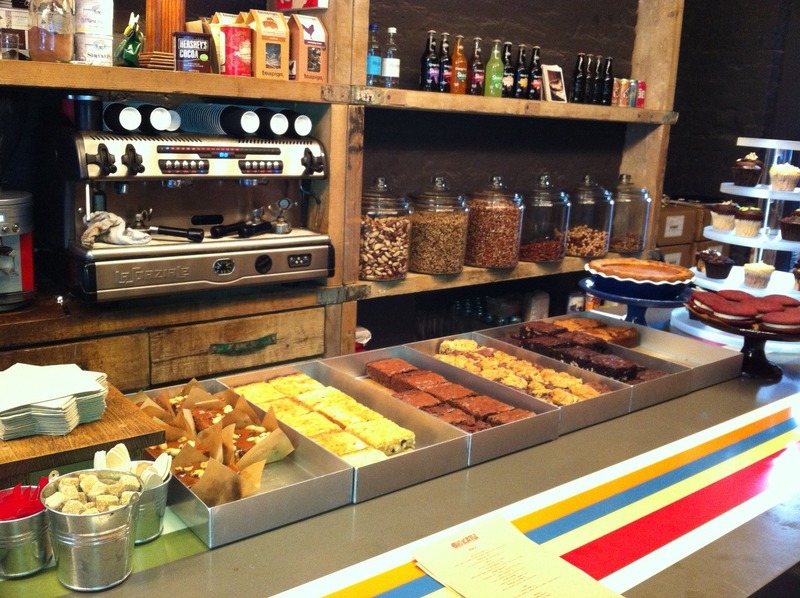 A few months back, when Cakeyboi was in his infancy, I ventured to a bakery I was desperate to try out in London. 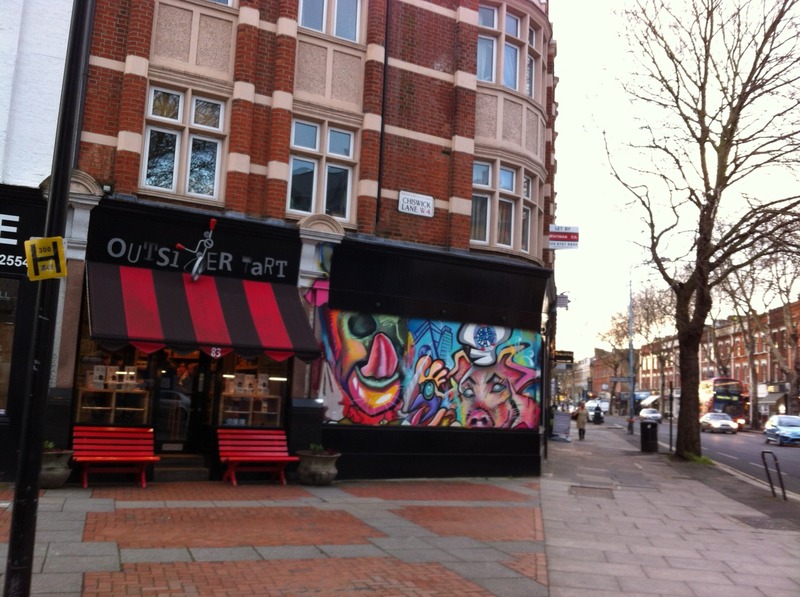 Outsider Tart in Chiswick was the place and on our last trip to London, I popped along solo, whilst Disneyboi was busy. It was a fleeting visit, but I enjoyed it – and the cakes especially! Check out my review here. As you may know, we are just back from our latest trip to the Capital and Disneyboi was desperate to try it for himself this time. Being a fan on Facebook and checking out their website, I knew that Outsider Tart had extended their store and I wanted to see what it was like. We took the tube out to Turnham Green (the closest station) and ventured up Chiswick High Road. 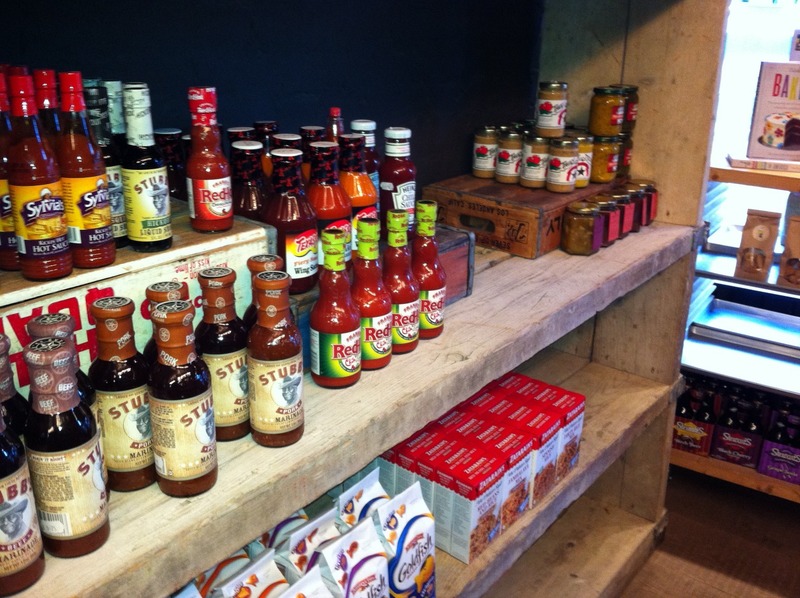 When we got there, firstly we had a quick look at the cakes and all the American goodies on sale. It was lunchtime and we were hungry, so were delighted to see that savoury was on the menu too. We both plumped for a bowl of chilli, which came with a huge slab of cornbread. The cornbread was the best I had ever had, and the chilli that also came with sour cream and some salsa verde was warming and delicious. Perfect for the bitterly cold day outside. 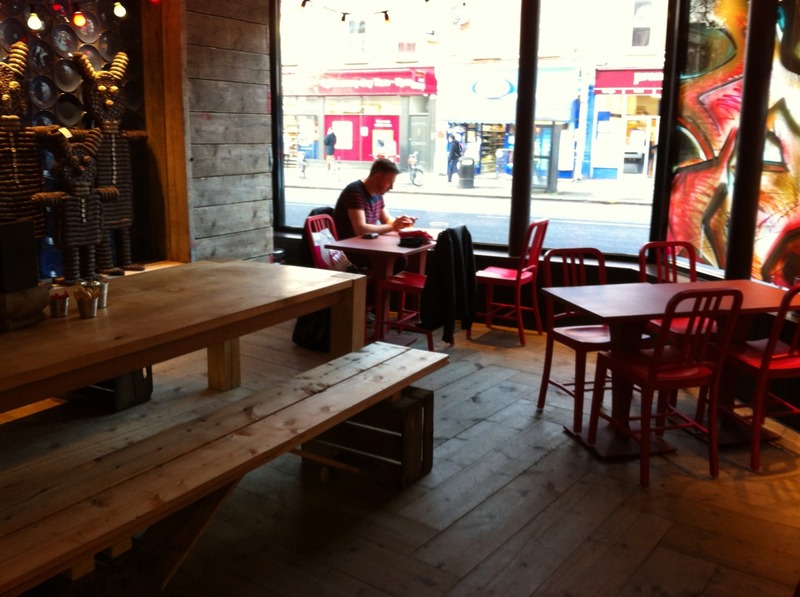 The café area was spacious and comfortable and very relaxing. After the savoury, we had a hot cup of coffee and chose a couple of cakes. The guy who served us took ages to go through what each of the cakes were, there was so many. 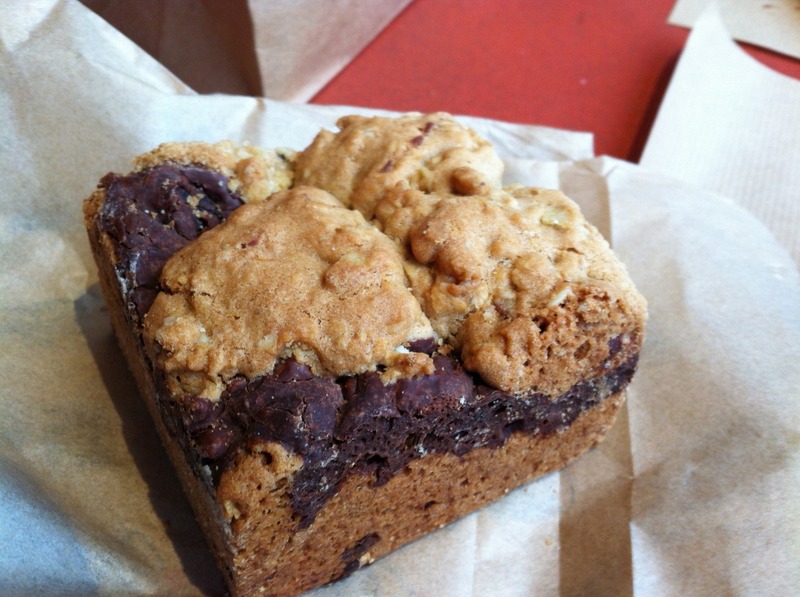 I chose a blondie and brownie combo, with raisins and oatmeal ( I think that’s what it was, I honestly forgot after eating it!!) and Disneyboi chose an orange and lemon cake with frosting. No pic of that, as it was eaten pdq! I bought a couple of things on the way out and settled our bill, With full stomachs we had a quick wander around Chiswick High Road, a lovely area, to burn off some our of our grub. Disneyboi was very impressed and I think this may just be a regular haunt for us on our trips to London. Looks like you enjoyed it! Jealous as I've yet to make it there! Love there book and have had nothing but success from it! It is a great book Lisa, my bible of baking! Oh this makes me so sad...and so homesick! All those goodies! 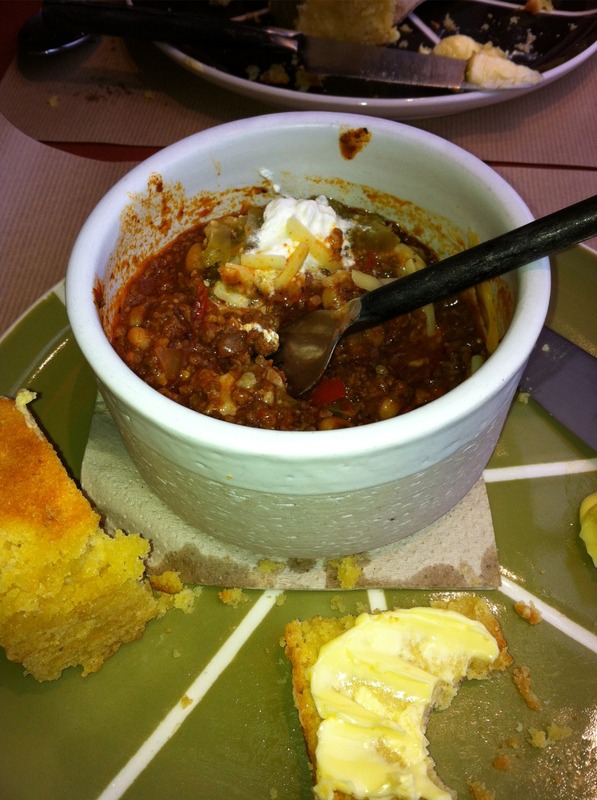 The cornbread and chilli sounds super delish, can't wait to try it one day! Glad you loved the brownie/blondie too. You exercised some pretty good self restraint too...I can never manage to come away from there with less than arms full of goodies! !